Wednesday, April 6th, Presanctified Liturgy 6:30 p.m., Confession 5:45 p.m.
Friday, April 8th, Presanctified Liturgy 9:00 a.m., Confession 8:30 a.m.
Akathist 6:30 p.m. (Cross of Christ), Confession 7:00 p.m.
Great Vespers 6:30 p.m., Confession 6:00 p.m.
Sunday, April 10th, Matins 8:00 a.m., Divine Liturgy 9:30 a.m. Annual Parish Meeting will be held this morning following the celebration of the Divine Liturgy. Please make every effort to attend this meeting. Perogi Construction Project will be held on Tuesday, April 5th, 8:00 a.m. at St. Michael’s Center. Please mark this date on your calendar of events and give us your time and support. Upcoming Ethnic Food Sale at St. Michael’s Center will be held on Friday April 15th. Factory orders are welcomed. For advance orders call Ruth at 876-1456. Sunday Mission Vespers will be held this afternoon at 4:00 p.m. at Holy Trinity Orthodox Church in Wilkes-barre, Pa. Archbishop Mark and Diocesan Clergy will participate. The homilist will be Fr. Daniel Kovalak. 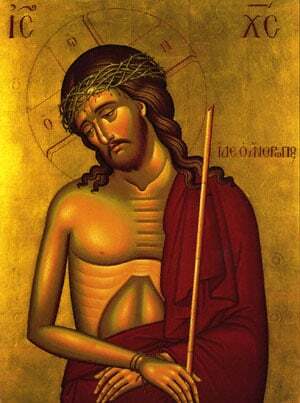 The Mission Vespers next Sunday will be at St. John’s Orthodox Church in Dundaff. Adult Education Presentation: “A deeper examination of the Teachings of Orthodoxy ” will be held this Wednesday, April 6th, following the celebration of the Presancfited Liturgy. Pot-Luck Lenten Meal will be offered. Please see Millie Telep during Coffee hour and let her know what you will be bringing. 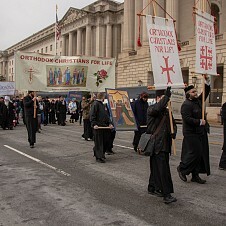 Flowers for the Cross of Christ (Mid-Lent) are still being accepted. Please see Fr. John or Protodeacon Gabriel during Coffee hour. Special Donations: $250.00 offering in loving memory of Elizabeth Zrowka, from friends and family members. $50.00 for Easter Flowers in loving memory of Kuzma Leschak, offered by Irene Leschak. $25.00 for Easter Flowers offered by John Hockin for his health and the health of his son. $25.00 for Easter Candles in memory of Alex and Elizabeth Hockin by their family. $35.00 for Easter Plant and Candles offered by Marie Derkasch in loving memory of her family. $15.00 for Easter lily by Joanee Yurchak for the good health of and God’s Blessings on Godchildren Nicholas, Jennifer and Justin. $10.00 for Easter Candles by Joanne Yurchak for God’s Blessings upon Penn and Baby Marco. Easter lily and Candles Donations are being accepted. $15.00 small lily plant, $25.00 large lily plant and $10.00 for Easter Candles. You may offer the flowers and candles in loving memory of your departed family members or for the continued health of your family. We thank you in advance for your support..
$200 Renovating Donation was offered by an Anonymous Parishioner. The Last Memorial & Soul Liturgy will be held on Saturday, April 9th. Please submit the names of your departed loved ones you want to be commemorated to Fr. John. Please use the memorial form found on the bulletin table in the new addition. 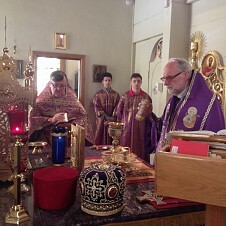 Church School will be held on Sunday, April 10th, following the Divine Liturgy underneath the Church. Please make every effort to bring your children to Church School. Please remember in your prayers: Olga Sviatko and Michael Klaptachwho are guests at the Wayne Woodlands Manor, in Waymart. Ann Butler is a guest at Elm Croft Mid-Valley, 89 Sturges Rd., Peckville, PA 18452. Peter and Helen Senio are at the Gardens of Green Ridge, 2751 Boulevard Ave., Scranton, PA 18509. Hostesses: Sunday, April 3rd: Jean Malec, Barbara Nayduch, Ann Narcoonis; April 10th: Millie Wanas, Marilyn Petorak, Maryann Serafini; April 17th: Karen Wanas, Matushka Dolores Petorak, Mille Telep; April 24th: Dorothy Allen, Debbie Bernosky, and Ann Butler.